Making money from your blog in this modern age has been made easy with because of some factors such as internet marketing. 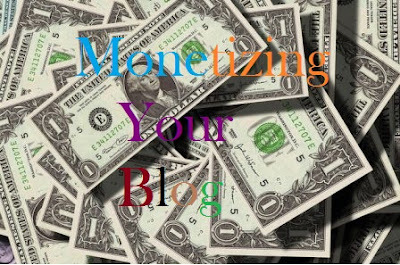 I think it is safe to say that blog monetization came about directly as a result of the desire of online marketers to advertise their goods and services on the internet. This is because placing your adverts on the net has the potential of reaching multitudes in the shortest possible time. If you can observe, adverts that you see on blogs require you to either purchase a product or sign up for something which may be free but will have restrictions which you can only unlock when you pay some amount of money. Before diving deep into the proven ways to get money through your blog, be sure to read my step-by-step guildabout starting a blog and this post about benefits of blogging. Student can also read blogging for students and get to discover why blogging is not only for graduates but for everyone who has the passion for it. This is an important and common way of blog monetization. Most people who make hundreds and thousands of dollars in a month from their blogs participate actively in this process. Since it is very important way of making money from your blogs, I have written a separate post to discuss what affiliatemarketing is and how it can be best utilized. You should also know that SmartPassiveIncome makes an estimated 153,000 monthly from affiliate marketing only (you can too). The name that comes to peoples mind when talking about pay per click is Google Adsense. This is a type of advertising where you get paid when a visitor of your blog clicks an ad placed on your website by the company placing the ads. How this works is that you sign up to a provider of PPC ads and they give you a code for you to place on your site. The provider will then place contextual ads to your site which may be image or text based or a combination of both that are relevant to the content of your website. Note also that only a small percentage of people will click on these ads, so to earn a lot of money from them you will need a lot of traffic. You have to place your adverts in strategic places so that your visitors can easily see them when they are on your website to increase your chances of getting clicks from your visitors. This in turn increases the money you will likely get from this monetization method. For example, placing ads at the space at the beginning and end of articles/blog posts are highly visible, so by putting a PPC in these positions may increase the chances of someone clicking on one. How much money you make from this ad placement can also be determined by the cost per click (CPC) your advertiser is willing to pay. Example, ads that display financial products or mortgages are likely to generate you more income due to the higher price of the actual product, compared with ads of maybe hiking services. PPC ads are a good way to easily monetize your blog. However, to make plenty of money from them you will need lots of traffic. · Cost Per Mile (CPM) where you get paid for every 1,000 viewers of an advert (they don’t need to click it). Many bloggers or blog administrators are also freelance writers, and they get paid to write blog content for other people. There are blogs out there that will pay you to write posts for them which can you can be paid for every post or be paid a negotiated amount to deliver a number of posts per month. Other common services include designing websites, speaking engagements and private coaching. Depending on your blogging niche, you can get more specific service. This is why it is very important to choose a blogging niche that you have knowledge about which can probably be your hobby. By virtue of been a blog owner, there is 90% chance you are already teaching your visitors through your blog. This is because most blogs out there are teaching readers how to complete a task or giving them insight about particular topics. If that is your case, creating an exclusive learning opportunity by building a paid online course will be a great idea that will bring money to you. You can set up a 6-week course through sending automated email messages or releasing the full course materials all at once so students can work at their own pace. As the name implies, banner ads are ads you place in “banner” style, usually in the sidebar of your blog. The organization or business sponsoring the ad will often pay you monthly to keep the ad up on your site. This payment may be big or moderate depending on the organization in question. You should note that some organizations will demand to know how much traffic you get on your website so they can be sure of your blog’s popularity which will directly determine how many people will see their ads and how many potential customers they are likely to get. If the amount of traffic coming to your blog is pretty descent which can be as a result of how well you understand SEO, you might be approached by a business looking to sponsor your site. This can be in the form of banner placement as discussed above or paid reviews. When a business sends you their product and pays you to write a review about it, this is known as paid review. Of course you are a blogger and want to make money from blogging, you won’t do it for free. Note that this review is not necessarily positive and you should not be obligated to write a positive review. This is because if you have not personally used that product but you decide to write a positive review about it and recommend it to your viewers they have the right to blame you for any side effects they may get from that product. This is why it is always recommended to write a disclaimer about reviews that you do and state clearly to your readers that that particular post or review is sponsored. Some businesses will sponsor a specific post in exchange for a link back to their site to either sign up or make a purchase.